We are having a Thanksgiving Week Sale from today November 23rd and ending December 1st. Great deals on saddles in stock and other items ready to ship. Our tack store is always fully stocked and new items are added regularly. We have been busy since our fall show in the beginning of October. The weekend after our show we travelled to Locust Farm in Kentucky for the annual Kentucky show. Will was one of the judges and Ásta decided to go with to meet old and new friends. It is nice to see familiar faces and new ones to try to make our community connect in this large country we live in with long distances between places. 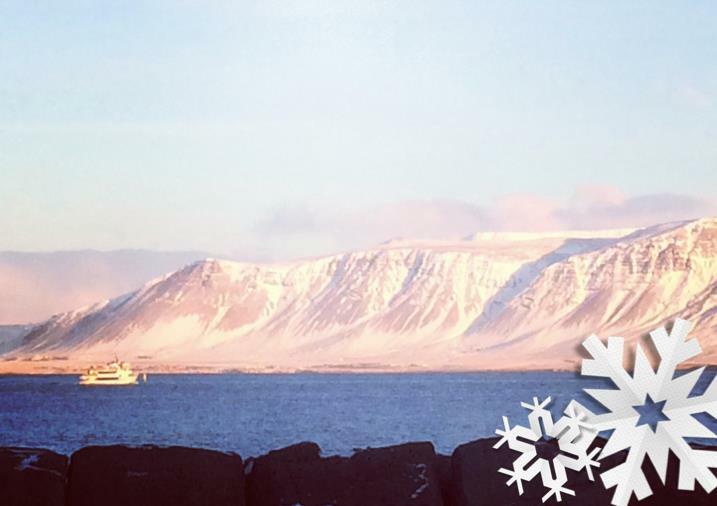 We went and visited the new facilities of Léttleiki Icelandics where Carrie Brandt and Terral Hill run a training facilities. 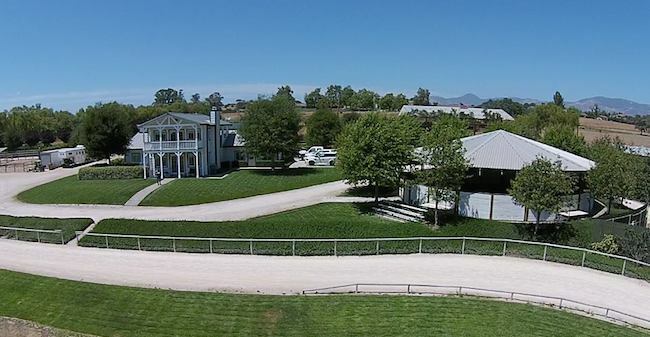 They have done amazing job building a full service facilities in Shelbyville, KY.
We have also gotten some really nice updates on horses we have sold in the past years. Including the first prize mare Maístjarna frá Ólafsbergi who travelled across the country in September to Aiken, NC where she lives with her new family. Then Lucy has been working hard with the Hrafn offspring Rósa and Háfeti. Rósa (d. Rák frá Akureyri) is born 2009 and is starting her training with Lucy and Háfeti (d. Perla frá Rauðuskriðu) is born 2001 and has been with Lucy now since the spring. And last but not least Ayla brought Brynjar from Dalalif (s. Vilmundur frá Feti d. Gola frá Höfðabrekku) to his first show at the CIA Open Fall show where they won the open group fourgait. We are always happy to see horses that have been through our farm or born at our farm do so well at their new homes with their new owners. The half siblings Hamar from Dalalif (s. Hrafn frá Garðabæ d. Rák frá Akureyri) and Svarta Nótt from Dalalif (s. Þór frá Prestsbakka d. Rák frá Akureyri) also came to the show. We are excited that Olil is coming back in December and her clinic is already fully booked but if you want to be placed on a waiting list or come and audit please email us at info@tolt.net for more info. The new Vigdís jacket by Top Reiter is one of many new items recently added. Our fall show was held this past weekend. 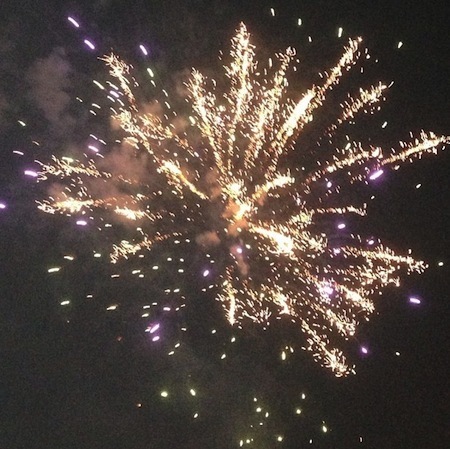 It was a super fun weekend despite the high temperatures both Saturday and Sunday. It was the first show back at our ranch since Spring of 2011 so it was fun having it at home again. Nicolai travelled from Germany to be our judge and we thank him for coming. Keith was our Announcer/DJ and he did a great job like always. Will and Doug did the Icetest and we had many helpers do the gate including Christina, Laura, Freija, Sara and Laurie Pollock. Laurie Prestine and Freija helped with scribing. A Big Thank you goes to everyone that helped out and came to support our show! The Flying C Ranch riders did very well. Ásta rode Dynjandi in T2 for the first time and borrowed Bragi from Anne-Marie to ride in T1 and Fourgait. It was the first time Ásta rode him in a show and also the first time he was ridden in fourgait since he came here in 2009. Ásta also rode Byr in fivegait. 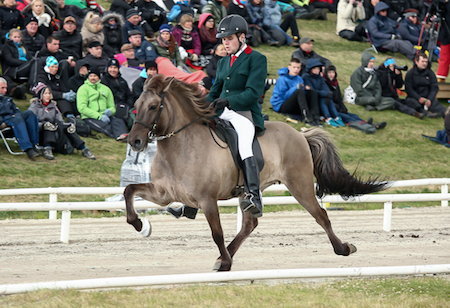 Christina rode Hroftur in T1 and fourgait. Willy rode Þór in F2 and pace race and Hvati in T5. 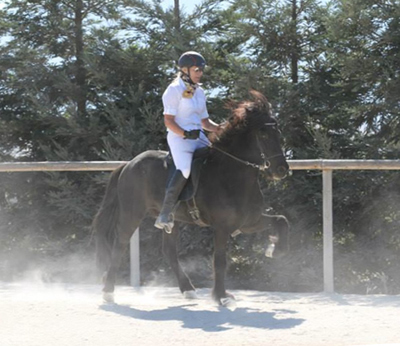 Kelly rode Sandur in the novice tolt and fourgait and scoring 6.0 for tolt! 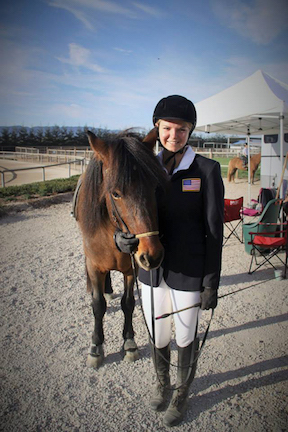 Jessica rode Hugljúf in Youth Tolt and fourgait and getting her first 7.0 for tolt in the youth Tolt finals! 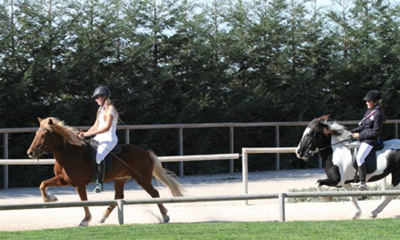 Jamie rode for the first time in the Advanced Youth Tolt and fourgait and did a great job with Rán in both classes. Sara rode Blesa in Novice and had a good show. There were 3 Dalalif horses that come to the show from Santa Cruz. 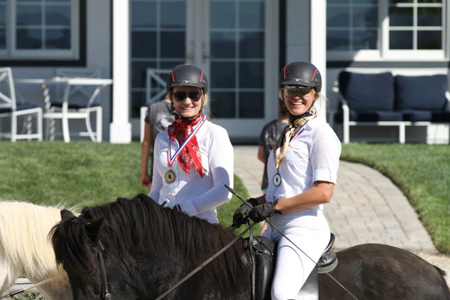 Heidi rode Hamar in V2 and Ayla rode Brynjar also in V2 where they were first and second place. Barbara rode Svarta-Nótt in T5. It is fun seeing the horses that grew up here come back with their new riders and compete. Thank you to everyone who came and supported our event and we hope to see you all at our next show! We have had a busy summer. 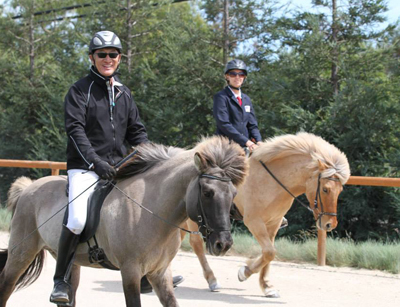 Will was judging in Germany in end of June and in Iceland at the Icelandic Championships in July as well as Flugnirkeppni at Winterhorse Park in Wisconsin in August. Now we are home and getting ready for our fall show to be held here at Flying C Ranch October 4-5. Nicolai is coming to be our judge and Will and Nicolai will then fly to the annual Kentucky Show the following weekend where they will part of the judges team. It is always great to meet other Icelandic Horse enthusiasts especially around our large country and get to meet new and old friends. Maístjarna is getting ready to travel to her new home in September and we are excited for the new owner to finally meet her and at the same time sad to see this great mare leave. It is always bitter sweet to sell horses. Sunna is also sold and she will be traveling to her new home this weekend. We really look forward to hear about these two great mares from their new owners and hopefully see them again in the near future. Training and conditioning is in full swing for our show in a month and we are looking forward seeing everyone here in the beginning of October! For more info on the show go to the CIA website. 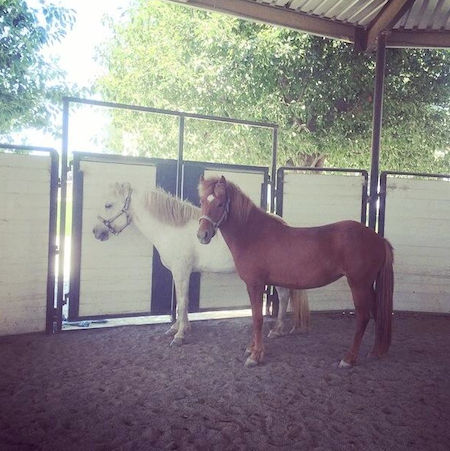 We have added Sól from Flying C Ranch to our sales page. Sól is born June 22nd 2010 and is an very attractive silver dapple mare ready for more training or to be bred. Landsmót 2014 finished this weekend in Iceland. We tried to keep some of our Facebook followers up to date on what was going on so if you are interested in videos and some of the results check out our facebook page. There were few successful horses at Landsmót that are relatives of our stallions Þór and Hrafn. Brynja frá Bakkakoti is a daughter of Þór frá Prestsbakka and Smella frá Bakkakoti. 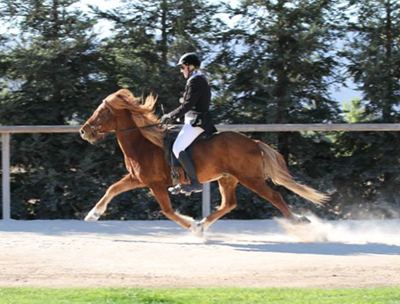 She was presented in the Young Adult class by her rider Róbert Bergmann. They won the B-Finals and earned a spot in the A-finals where they ended second place just 0.01 points from the winner. Brynja is an amazing Tölter. Steggur frá Hrísdal is a grandson of Þór. Steggur's sire is Þristur frá Feti and Dam is Mánadís frá Margrétarhofi. Mánadís is a daughter of Þór frá Prestsbakka. 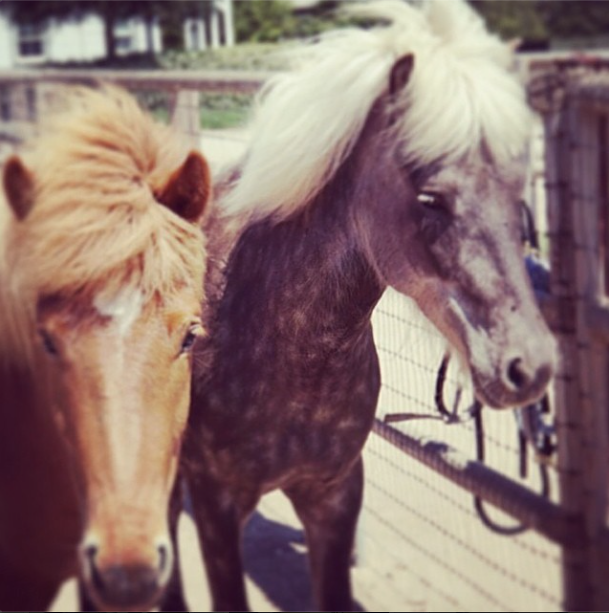 Actually Þristur and our other stallion Hrafn have the same sire Orri frá Þúfu. 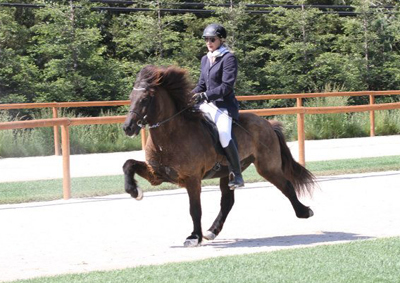 Steggur is a five year old stallion and was presented in the Five year old stallion group where he received 9.0 for Tölt, Form under Rider, Willingness and Slow Tölt. 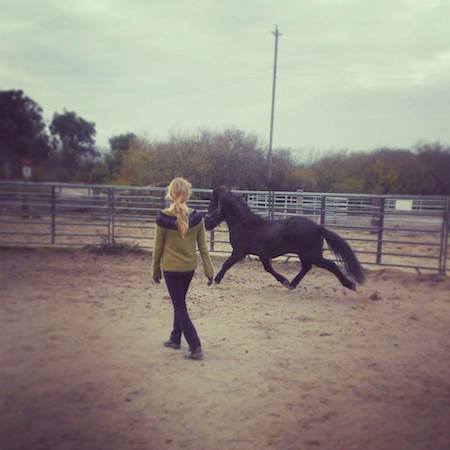 Very promising young four-gaited stallion. 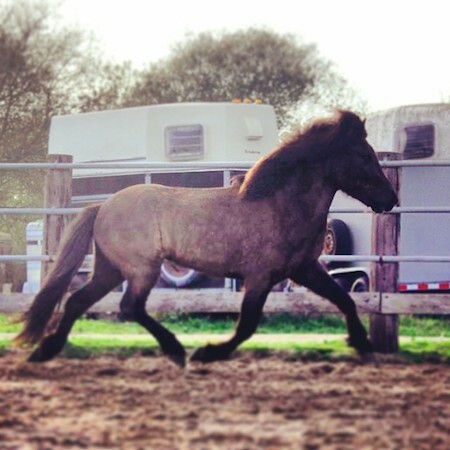 Kunningi frá Vamalæk is a grandson of our stallion Hrafn frá Garðabæ. 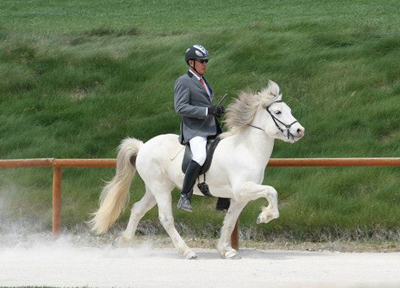 Kunningi's sire is the World Champion in F1 2009 Tindur frá Varmalæk and his dam is Kilja frá Varmalæk who is a daughter of our Hrafn. 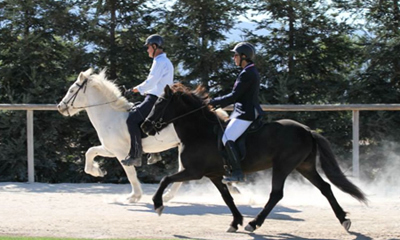 Kunning competed in A-Class and was 13th place out of 102 horses. 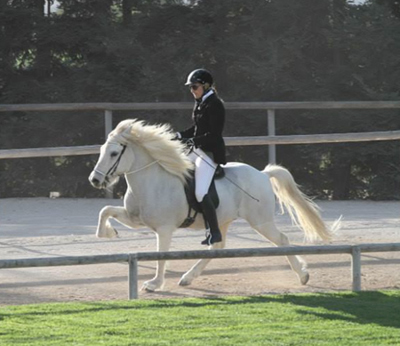 He was ridden by Ásta's 1995 Youth Cup team mate Líney María Hjálmarsdóttir. 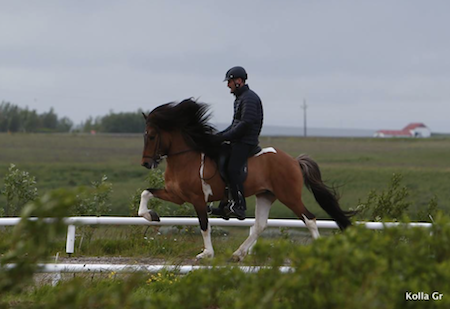 Olil and Bergur also did very well this Landsmót with Olil riding the highest ranked 6 year old mare Álfhildur frá Syðri-Gegnishólum and Bergur riding the highest ranked 4 year old mare Hamingja frá Hellubæ. They had many other horses too amongst the best breeding horses in iceland. 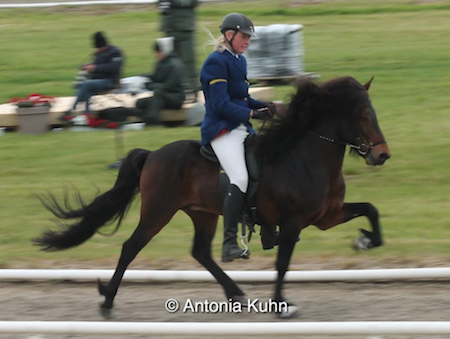 Olil's daughter Brynja also placed 5th in the Young Adult Class at her first Landsmót. We were not able to make it to Landsmót this year since we were travelling earlier this summer to Europe where Will was judging a show at Töltmyllan in Germany. We are very happy Landsmót offered a live feed so we were able to watch most of the main events. The sign up form and information for the CIA Open Fall show has been posted on the CIA website. Click here to check it out. We are constantly adding and updating our online tack shop. 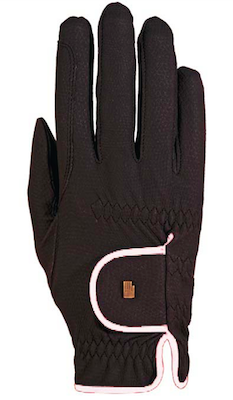 We have now added Roeckl gloves to our store and Bombers bits. The Roeckl Gloves are german high quality gloves that we personally have loved for few years now and we are finally able to share them with you thru our store. The bombers bits are South African high quality hand made bits that have been making bits that fit our breed now for few years. We have been using these bits for few years now and we are finally able to also share them with our costumers now thru our store. Sunna from Flying C Ranch is a two year old Chestnut with a star and a snip filly. She is brave and friendly. 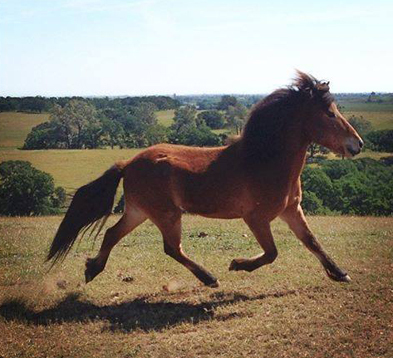 We just took updated photos of her as the previous photo was from when she was a weanling. She has matured a lot since then and is a large filly for her age. She has been halter broken and is for sale to the right home. 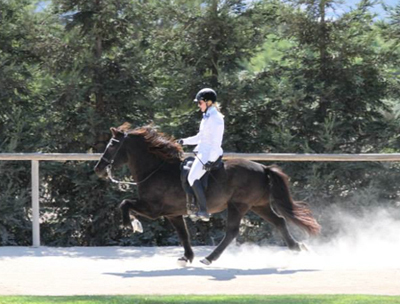 For more info on our sales horse go to our Sales Section of our website. 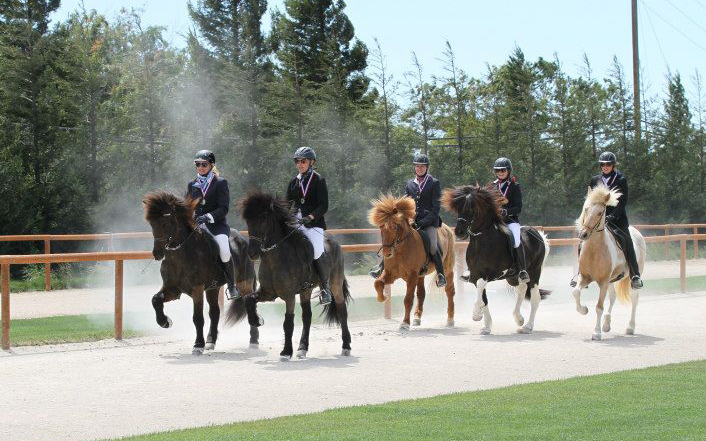 We went to Virgina May 17-18 where the Fríða Icelandic Regional Club held it's 3rd annual Horse Show at the Frying Pan Farm. Will was their judge and I travelled with him. It was fun to see everyone again and good to connect with people with passion for our Breed. I brought my camera and my photos have been posted on the Flying C Ranch Facebook Page. 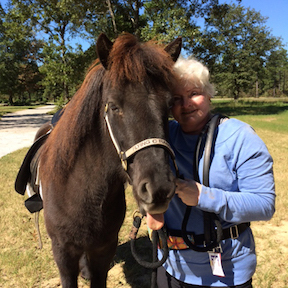 Congratulations to his new owner Annemarie and a Big Thank you to Heidi Benson at Centaur City Riding school in Santa Cruz, CA for finding him the home he deserves. 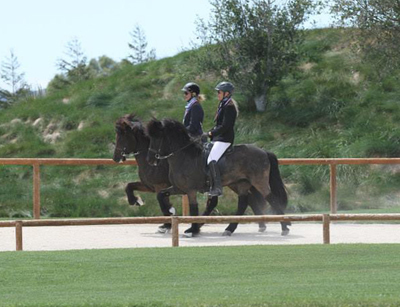 He will stay at Heidi's place in training where Annemarie will be enjoying riding him every chance she gets. 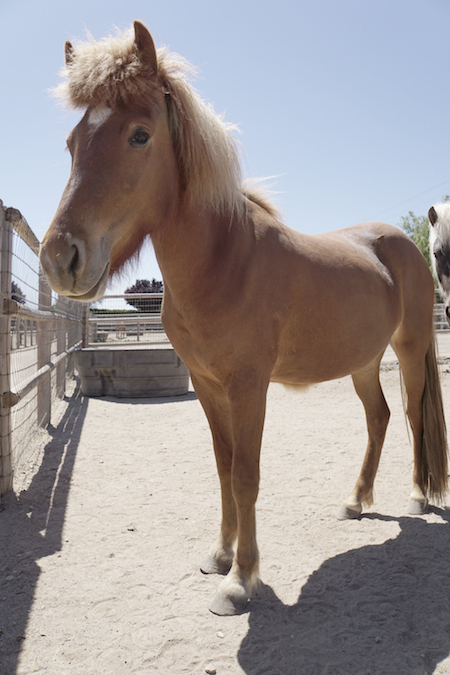 Háfeti from Flying C Ranch also got a new owner earlier this month. 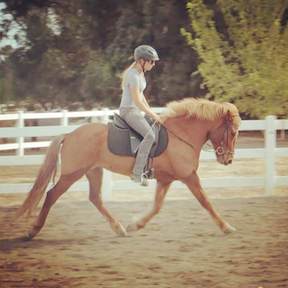 He moved to Northern California where Lucy Nold will train him and care for him. We look forward to see what they accomplish together. We have only one horse for sale at the moment. For more info on our sales horse go to our Sales Section of our website. Our online store has a new look and design. Easier to view images of the available tack as well as sort thru products for easier time to find what you are looking for. Our spring show was held this past weekend. Our Spring show was this past weekend. Laura and Heidi Benson brought many of their students from Northern California that made this show the biggest one we have had so far. 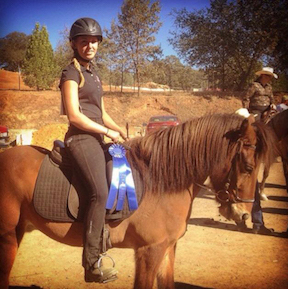 We had over 50 Horse and Rider combinations signed up and a lot of kids riding their horses, some were showing for the first time and some have been to many of our shows. Þorgeir Guðlaugsson travelled from Holland to be our judge and Mark Bromley came from New Hampshire to scribed for him. Doug the new FEIF Director of Sport was the Icetest guru, Lindsay took care of the gate and Keith made sure we had good music going the whole weekend. The weather Gods made sure we didn't get to hot this weekend and made the horses feel like home in the gusty spring wind. Thank you to everyone who helped and come to support our event! The Flying C Ridiers did very well. Erica made sure we all rode clean and spotless horses during the show! Anne-Marie rode Húni in T2 and Bragi in T1. Christina rode Hroftur in T1 and V1 and was second in both finals. Willy rode Hvati in T6 and Þór in F2 and P2. Ásta rode Dynjandi in T1 and V1 with great results including a perfect score for fast tölt in the T1 final! Ásta also rode Byr in F1. The Blough family has been coming here for training and they did an excellent job. Kelly rode Sandur in T7 and V5. She received her highest mark for Tölt and Walk so far which was so fun to be apart of. Jessica rode Hugljúf in T8 and V6 and also did a great job, especially with her tölt receiving a 6.0 in one of her finals! 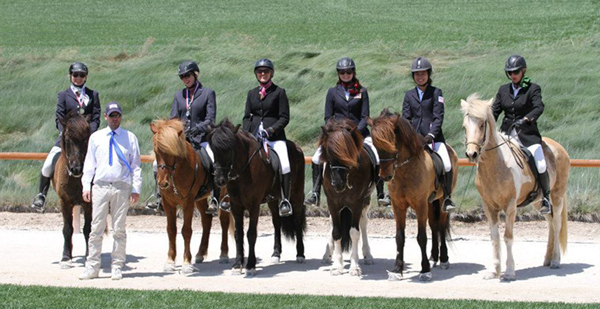 Jamie rode Rán in T8JR and V6JR and went from last to first in her fourgait final! Lucy and Emma also did very well in their classes. 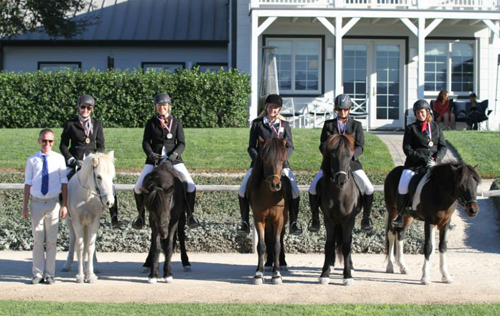 Lucy won F1 on the Þórson Ali from Dalalif and second in P2, and won both green horse Tölt and Fourgait on Faxi, Emma and Kani won both the Youth Tölt and Youth Fourgait finals. All in all everyone did a great job! It was great to see so many kids participating and how much they improve between shows makes it a real treat to watch! Click here for full restuls from our show. We have received a lot of sign ups for the show and here is the Saturday schedule as of today. It can still change and the final draft will be posted at our Pizza Party Friday night. We look forward seeing you all here next week! We have set our Fall Show date! Save the Date! We look forward seeing you all here for another fun show! Spring is in the air and our Tack Store is fully stocked with everything you might need for this fun riding season! Couple of horses have changed ownership in the past few months. First Herkúles from Dalalif was sold to Laura Benson of Valkyrie Icelandics in Santa Cruz, CA. It will be fun watching them together in the future! 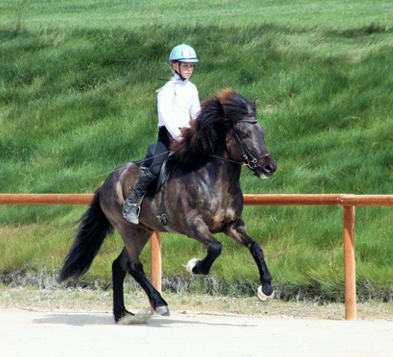 Then our first prize mare Maístjarna got a new owner and will be travelling accross the country to her new home in April. We are happy she has a good home but we sure will miss her. 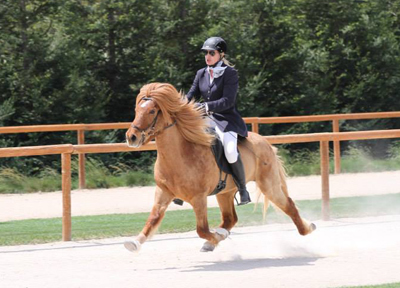 She is a very special mare! Our spring show is coming up in End of April and we are looking forward to see everyone here for a fun weekend! Save the date if you haven't already April 26-27! Our "Farm" Dog and Sidekick Jón the Papillon also known as Pooh or Nonni passed away Monday after a long battle with glaucoma. He was loved by many and stole the hearts of those who met him. We made this small collage in his memory but there are too many photos of this photogenic pooh to choose from so here are a few. We will never forget him and even though he was only a 3 lbs. Papillon he had the biggest personality. 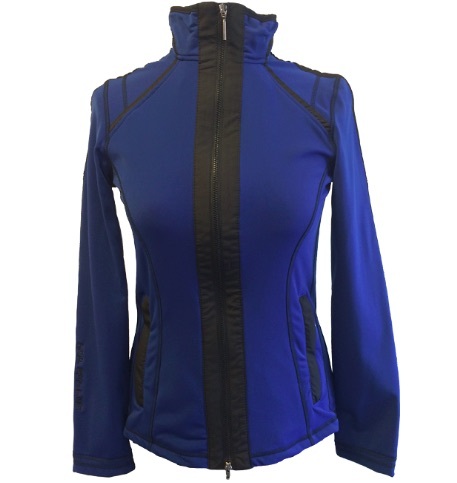 We have some great deals on our Online Tack Store where the sale items are all under $100. Also we have some new and exciting products just added to our already stocked store. The National Ranking has been announced and awards are being sent out. The California competitors did very well this year like often before. Asta won T1, T2 and V1, Elizabeth Robertson won both the youth classes (T8 and V6) and Colleen won both the Novice classes (T7 and V5), Rachel (V2), Dominic (T3), Willy (T6), Doug (T4), Laurie (V3) won one each.